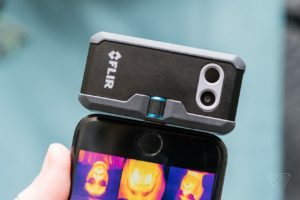 The Flir One Pro is an Android and iPhone compatible thermal imaging camera attachment that fits in the palm of your hand, fitting on smartphones with ease and bringing high-tech thermal imaging to consumers everywhere. The Pro has VividIR thermal image processing for detailed recording, automatic warranty registration for easy setup, and a handy companion app. Record the temperature, use the MSX feature for enhanced visuals, and do-it-yourself with ease with the Flir One Pro. 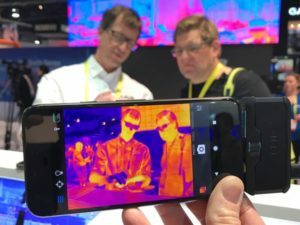 Although there is currently no release date for the Flir One Pro in Australia, getting the iPhone and Android compatible Flir One Pro is easy through Big Apple Buddy. 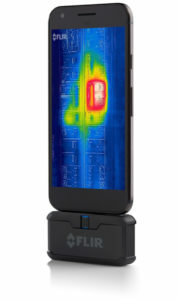 Australian shoppers looking for where to buy the Flir One Pro can check out our How it Works page today! Unfortunately, the USA Flir online store does not currently offer international shipping. However, Big Apple Buddy, your personal shopper, can help you buy products direct from the official USA Flir online store and ship them to your doorstep, no matter where you are in the world. We offer international shipping to over 190 countries including Australia, Austria, Bahrain, Belgium, Brunei, Canada, Croatia, Cyprus, Denmark, Estonia, Finland, France, Germany, Greece, Hong Kong, Hungary, Indonesia, Ireland, Israel, Italy, Japan, Kuwait, Lithuania, Macau, Malaysia, Maldives, Netherlands, New Zealand, Norway, Oman, Portugal, Saudi Arabia, Scotland, Serbia, Singapore, Slovenia, South Africa, South Korea, Spain, Sweden, Switzerland, Taiwan, Tanzania, Thailand, UAE and the UK. If you would like to buy from the USA Flir online store, simply get in touch and let us know which items you would like to order. We’ll get back to you with a free international shipping quote within 24 hours!